A nursing home needs to have comprehensive medical information for every patient. This information must include a list of prescribed medications as well as the conditions they are meant to treat. Placing a loved one in a nursing home can be a difficult experience. We want to make sure that the nursing home we choose ensures that our loved ones’ needs are met. Many older adults have important medication regimens that must be closely adhered to in order to provide for the best quality of life possible. However, many nursing homes are understaffed or may not properly train their staff members on important procedures related to patient medication. Patient medication errors can have severe consequences. It is extremely important that anyone dealing with medication understands the dangers that can arise if the medication is handled improperly. Most medication errors can be avoided if the proper precautions are taken. If you believe your loved one has suffered from medication errors at the fault of a nursing home, it is important to work with an experienced personal injury attorney that can evaluate the circumstances surrounding your concern to determine if the nursing home may indeed be liable. If you have concerns over a possible medication error in a Massachusetts nursing home, contact our legal team today to schedule your free consultation where you will have an opportunity to discuss your concerns and the circumstances surrounding them. Loss on consciousness, among others. As you can see, some of these symptoms are severe and if an adverse reaction to a medication is not caught in time, it can lead to death. Many other complicated conditions can result from medication errors, including kidney failure and potentially dangerous conditions like anemia. 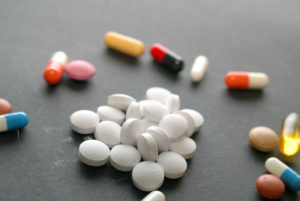 While some of these conditions more obviously require emergency medical intervention, others may be harder to spot and it is important for the nursing home staff to be appropriately trained to recognize potential medication errors so that they can be addressed before permanent damage occurs. When Might a Nursing Home be Liable for Medication Errors? A nursing home needs to have comprehensive medical information for every patient. This information must include a list of prescribed medications as well as the conditions they are meant to treat. A patient care plan should also contain any known patient allergies or preexisting conditions that could limit what medication can be prescribed by visiting physicians or in the case of a hospital admission. If this information is missing or not complete, or if staff have not been trained properly to recognize the warning signs of an adverse reaction to medication, then a nursing home might be liable for medication errors that occur. Did your loved one suffer harm or wrongful death as a result of a medication error in a nursing home? Our lawyers can help you hold negligent caregivers accountable for their actions. It is important to work with a personal injury attorney to investigate the circumstances surrounding your loved one’s suffering or wrongful death in order to determine if the nursing home has any liability. To learn more about legal actions in cases involving nursing home wrongful death cases, neglect or abuse, contact our law offices today for a FREE legal consultation, where you can find out more information about whether or not the nursing home facility might be liable for compensation. Our experienced team of personal injury lawyers can help evaluate the circumstances of an injury to help you determine if compensation might be available to you.